since 1999 & at Ardee City, Sec 57, Sohna Road, Sec 31 and various other locations in Gurgaon since 2007, it is an integrated modern complex offering a composite unit of a complete sports complex. We are coaches, trainers educators and counselors committed to building players, athletes and individuals. But most of all we are watchers who never lose sight of our ultimate goal, i.e. to help you to grow, excel and succeed. Our dedicated and hard working set of coaches always look for innovative drills and exercises to suit the individual needs of every trainee instead of relying on a 'one size fits all' approach. We design programs to ensure that every student receives the technical , tactical, physical and mental training with an optimum learning environment to 'to set -up a goal'. 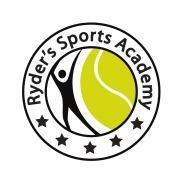 Ryder's Sports Academy conducts classes in Badminton, Basketball and Cricket Coaching. It is located in DLF City Phase 5, Gurgaon. It takes Regular Classes- at the Institute.